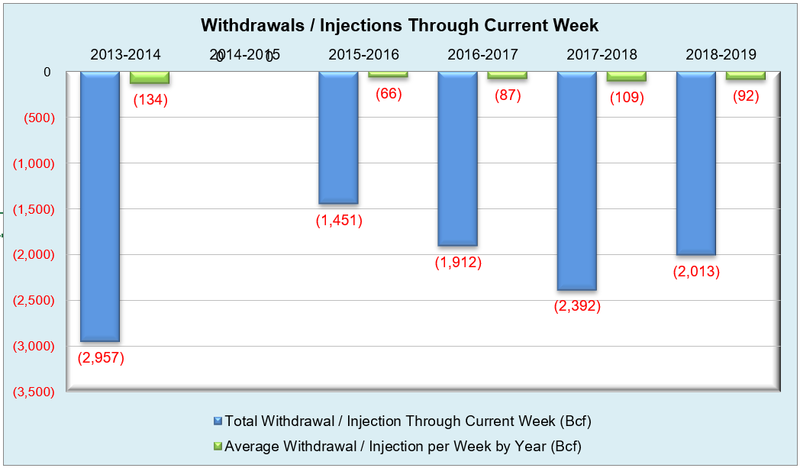 Withdrawal season is over as of today, and after a long and volatile winter that saw NYMEX futures nearly hit $5/MMBtu in November of 2018, storage inventories reported an injection of 23 Bcf that reflects a bearish background state in the market, especially when compared to last year’s value and the five-year average for the same time period, which were reported as withdrawals of 34 Bcf and 23 Bcf respectively. 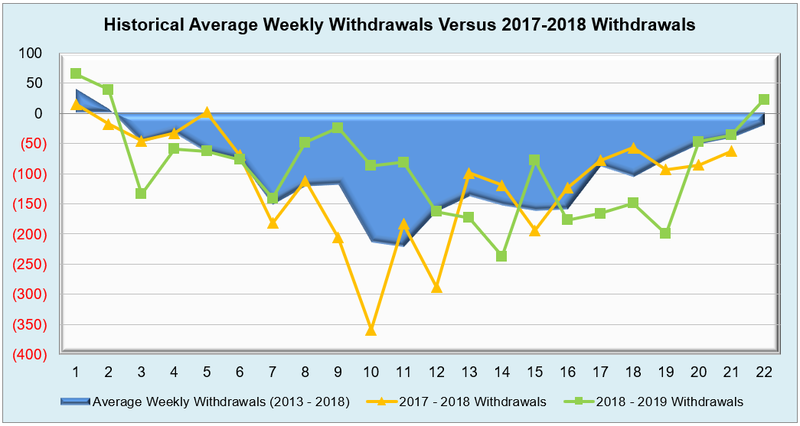 The shoulder months after withdrawals come to a close are normally noted as a period of transition, both for prices and the market shifting to a new benchmark, and this last week continues the trend despite reports of cooler weather patterns developing in ERCOT over the next six to ten days. 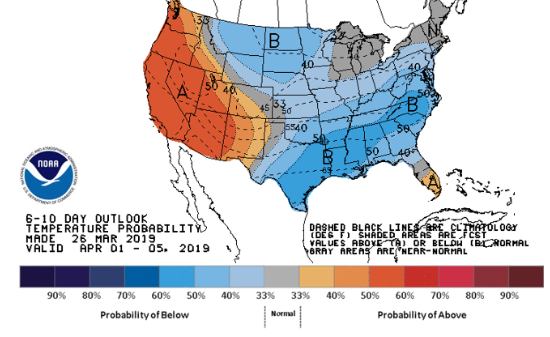 The West and Midwest are expected to see a somewhat similar cold front, but the East is seeing relief and should have above-normal temperatures. 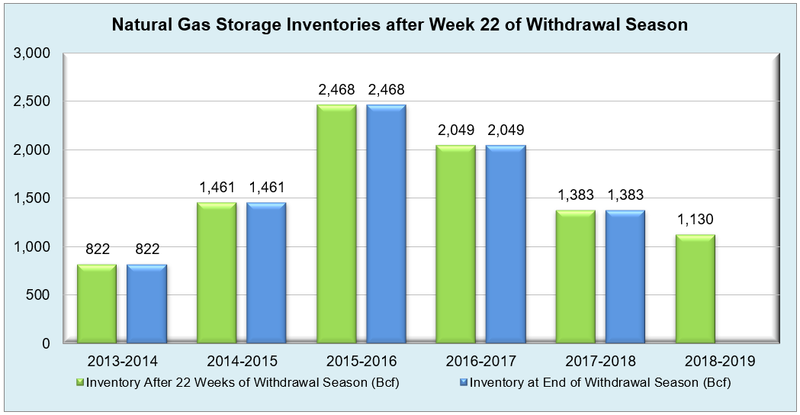 Weather’s grip on NYMEX has loosened as of late, and with an already notable injection recorded, storage deficits may finally be recovered. 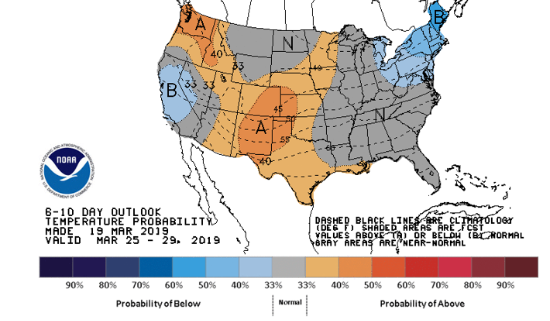 That being said, cooling demand may provide a different story as it did during the summer of 2018, but more of a clear picture will be available in the coming weeks once injection season officially begins on next week’s report. 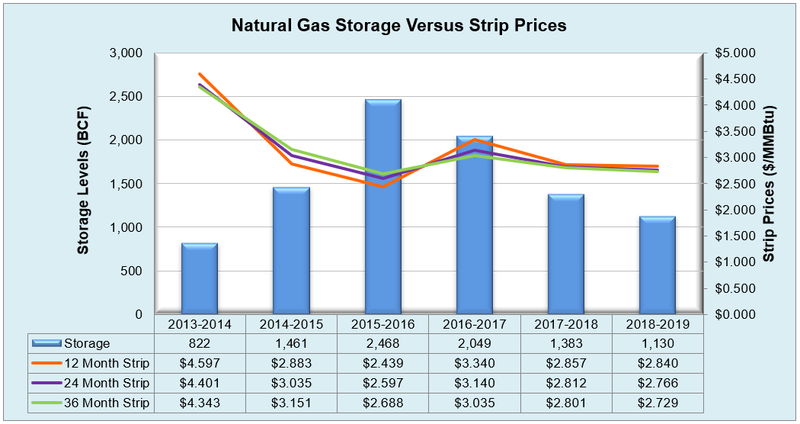 Working natural gas in storage currently stands at 1,130 Bcf, which is 228 Bcf (16.8%) lower than this time last year and 505 Bcf (30.9%) lower than the five-year average. The May 2019 NYMEX Futures price began the day around $2.67/MMBtu prior to the report’s release and dropped to $2.65/MMBtu after the report was posted.